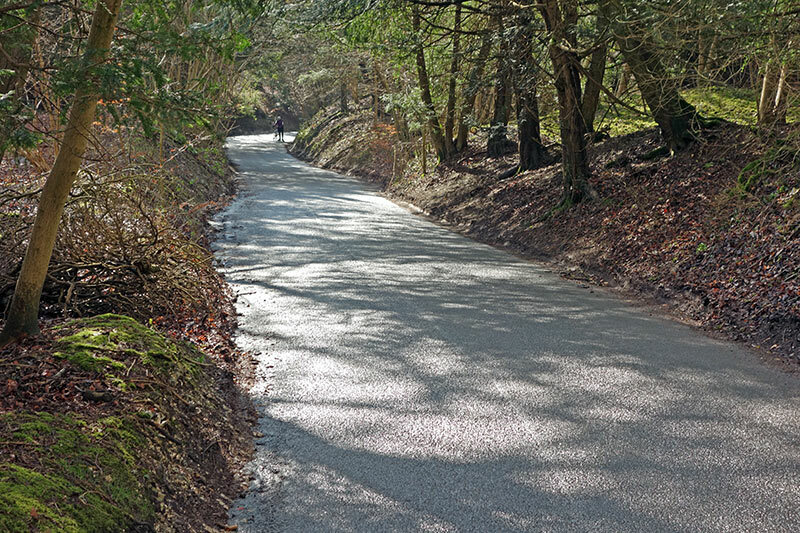 Whitedown is a popular climb West of Dorking and quite close to Box Hill and Leith Hill. 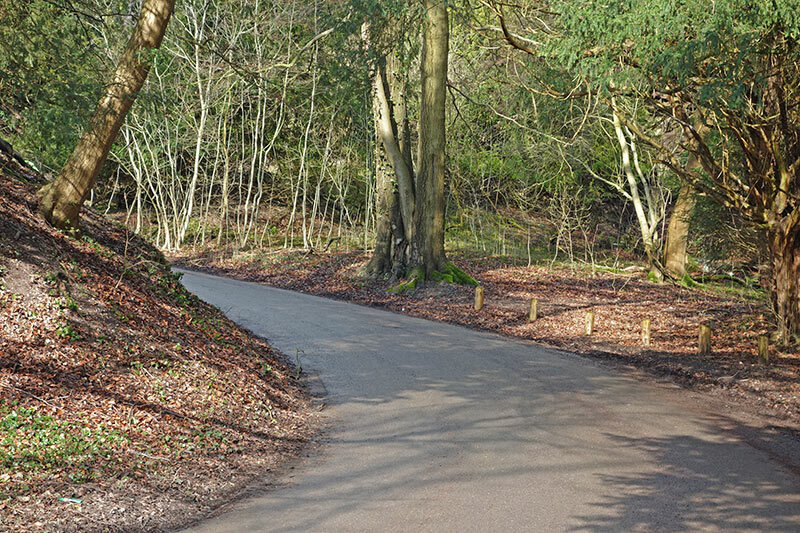 As you leave A25 and head north the climb begins immediately, the first 200 meters is a gentle introduction – followed by a section of flat and then downhill. 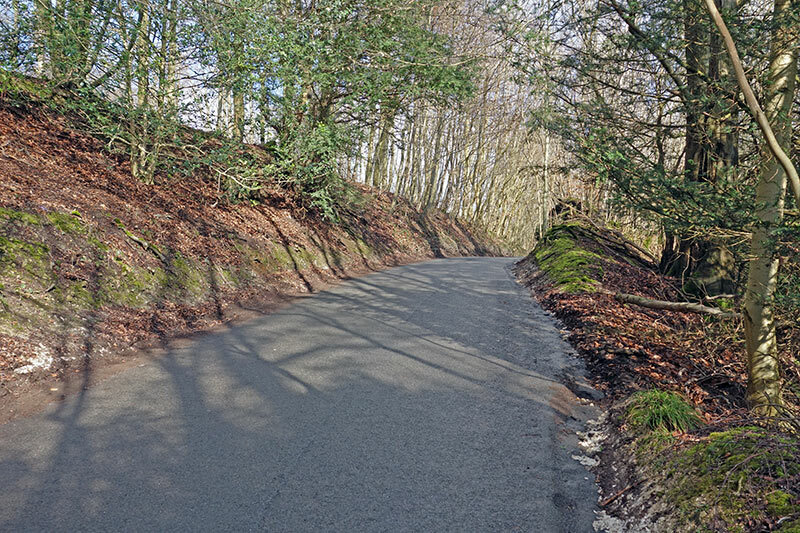 It is the last half a mile that the climb gets interesting. 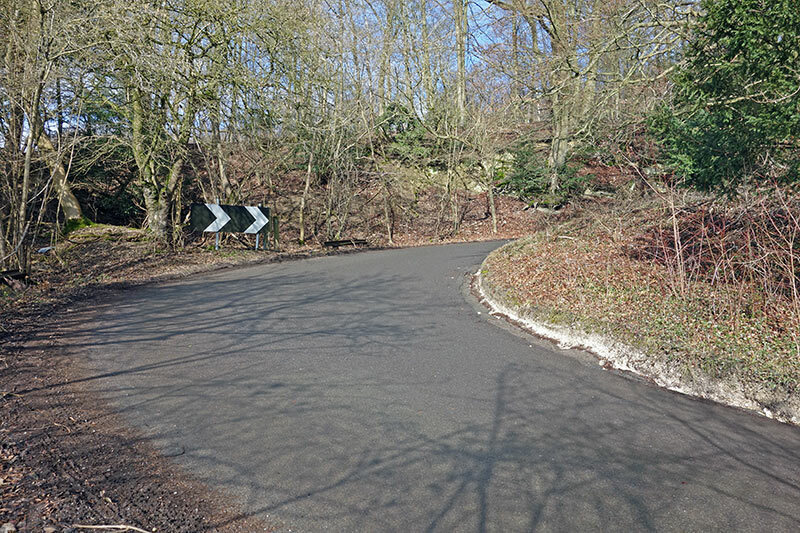 The road increases in gradient and it takes you round a left hander then long right hander. At this point, the climb gets up to its maximum gradient of 18% and there is a tough unrelenting finish all the way to the top of Dunley Wood on the South Downs. 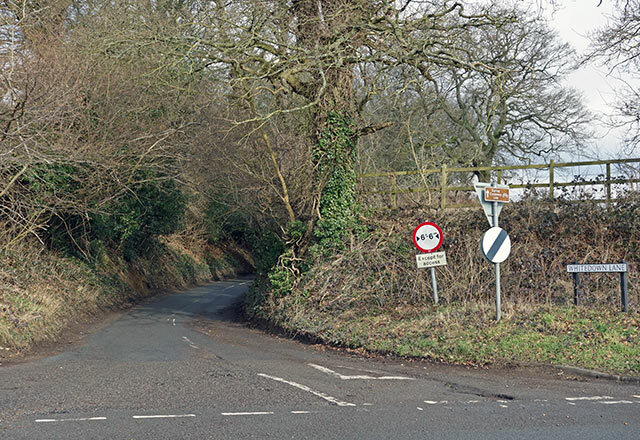 The road surface is rough and also quite narrow. If you meet a big 4WD car it can be a little awkward. 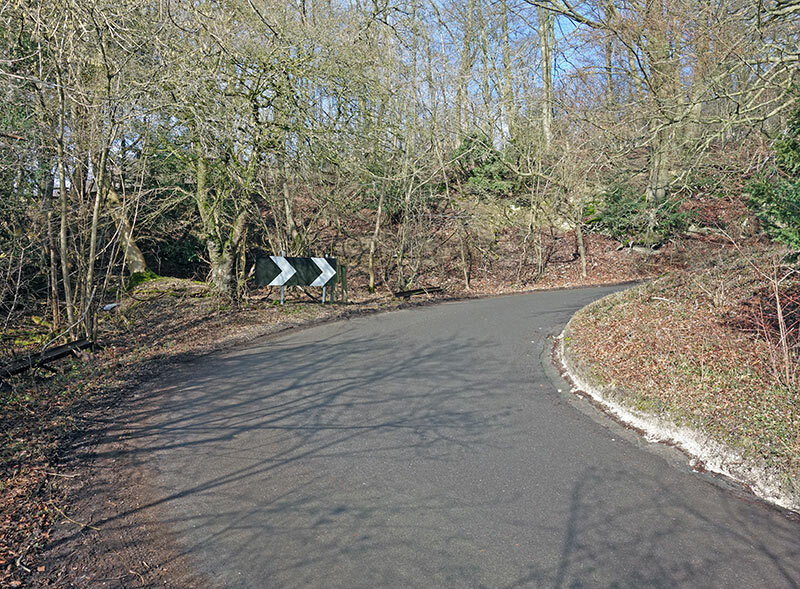 It makes a pleasant venue for a hill climb. 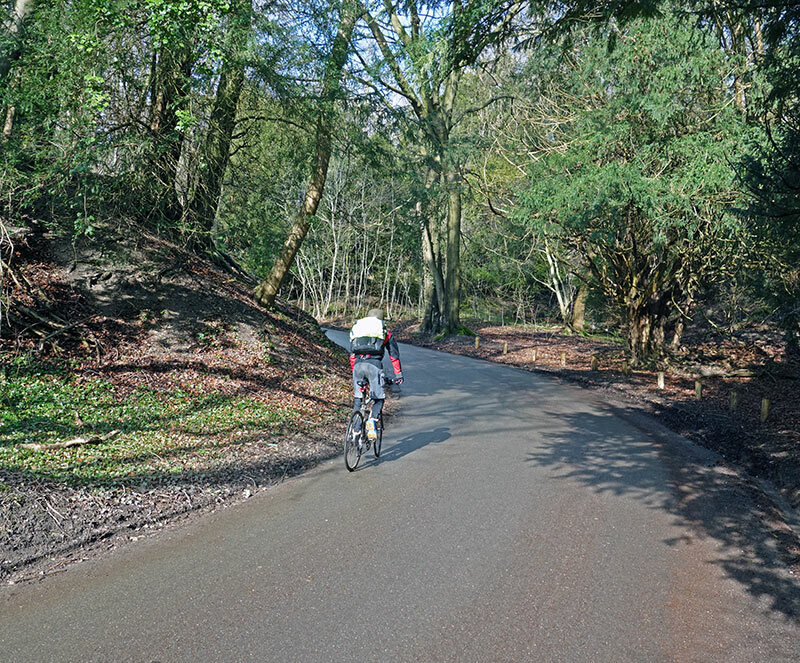 I visited in Feb 2015 – after the Redhill CC 18 mile time trial, the sun coming through the trees. It gets steep from here. Road is a little narrow towards the top. Looking back down the hill. 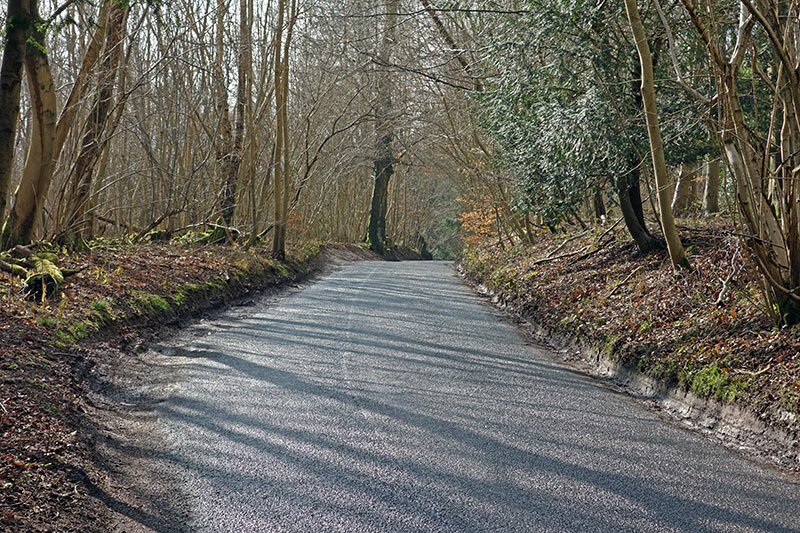 I took these photos in Feb 2015, after doing the Redhill 18 mile time trial nearby.